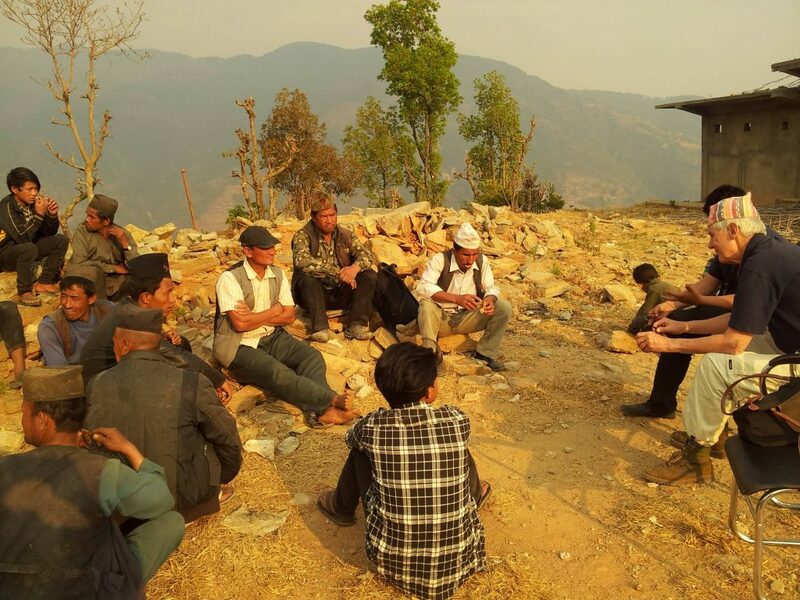 Our CEO continued his trip to Nepal, this time taking in potential sites for new rebuilding projects. Catch up on the story so far if you’ve missed Part 1 or Part 2. Two substantial schools were the target of our next visits. The first, at Gufa, took us 2,600 metres up into the highest of the foothills, where normally we would have seen Yangrima Mountain off in the midst of Langtang to the north. Sadly the visibility was poor, so we could but imagine its snowy peak! 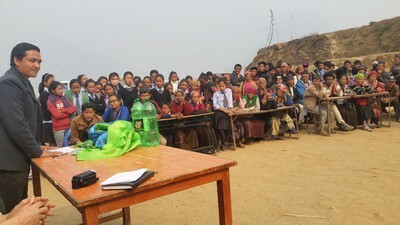 Sitting in a circle on a large swathe of grassland, the parents and teachers of the school had come to welcome us and to hold discussions about where the new buildings would be sited. These meeting are never short but they are totally democratic, so the school cleaner has an equal say to the village chairman! What was hugely impressive was the passion shown by so many of the parents, determined to show Jimmy and me how much they cared about the new buildings and the facilities they hoped we would be able to provide. Our second meeting took place a day later at Botang, right at the far northern end of the valley. After a three-hour drive, we arrived late at night and slept in one of the few houses that had not suffered damage. Next morning, we visited various parts of the village and then went to the school whose 250 pupils are entirely housed in Temporary Learning Centres. We then took part in a very elaborate welcome ceremony which lasted all morning. Many scarves were hung around necks and much merriment ensued with many speeches, some singing and a bit of dancing for which we visitors can claim some responsibility! It was a happy occasion and we left fully determined to help this lovely village build its new classrooms, once we have raised the necessary funds!